Should I Join a Music MOOC? MOOC [mook] n. massive (or massively) open online course: a usually free online course open to anyone and potentially having a huge number of enrolled participants. Anyone here taken a MOOC? I have just completed my first two MOOC courses with Coursera, one of the major provide of free online courses. The first course was run by the National University of Singapore and called “Write Like Mozart: An Introduction to Classical Composition”. The second “Songwriting” by Berklee College of Music. I was surprised at how much I learnt and how creative each course was in its design. What Kinds of MOOCs are Out There? MOOCs come in two main types – scheduled and self-paced. Scheduled MOOCs are modelled on traditional distance learning, so they begin and end on a specific date, and usually release course materials one week at a time. There are real deadlines for completing quizzes and assignments. Assignments are usually assessed by other course members. These courses often offer free Statements of Accomplishments or paid certificates. The main providers include Coursera, EdX, FutureLearn and Open2Study. The second type are self-paced courses. These courses are available to start at any time and all the materials are available right from the start. You can complete the tasks at your own pace. Some courses do have final exams (e.g. Saylor or ALISON), while others provide no proof of learning or tests (OpenLearn, iTunesU). What Kinds of Skills Can I Learn? Most of the MOOCs are bent towards maths and science, but there are an increasing number of humanities MOOCs beginning to crop up. This includes music MOOCs. Most of the MOOCs about music are focussed on music theory, harmony, composition, and music appreication and analysis. A music MOOC would be a good place to revise for Grade 5 theory, or to begin to explore composition in a guided setting. For a full list of music MOOCs I have found online, head over to my Recommended Courses page. Most scheduled MOOCs will take about one evening a week to keep up with. Some need a bit more, others less. Most providers will display the time they reckon it will take on the course page. For self-paced courses, the time is more flexible, but if you want to make it through the whole course, you should set aside an evening or a lunch hour each week to work on the materials. I really enjoyed my MOOC experiences. I found them challenging and inspiring. It was great to get some guided experience in composition, as I haven’t studied this much before. I’m really keen to go on and take a few of the self-paced courses now, like Voice-Leading Analysis from OpenLearn. 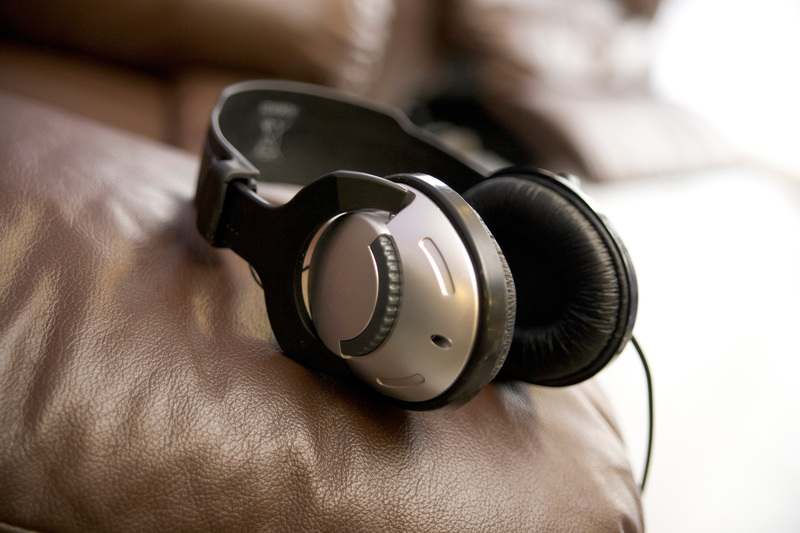 So, why not explore the kinds of MOOCs you could take to learn more about music? Have you taken any MOOCs yet? What did you think? If you’ve taken any music MOOCs, why not link to them in the comments, and I can add them to my recommended courses page. This entry was posted in General, Music theory, Teaching and tagged composition, free, learning, moocs, music facts, resources, theory on 18th March 2014 by . Classics for Kids – This child-friendly website features a different composer each week with a five-minute audio podcast feed and loads of information. Radio 3 Composer of the Week – Each week BBC Radio 3 features a particular composer with features on them each day. At the end of the week a one hour edited programme is released as a podcast and these remain available on the feed. UK access only, though. Classic FM Discover – This UK radio station plays classical music all day, every day and is usually considered more accessible than BBC Radio 3 in style. 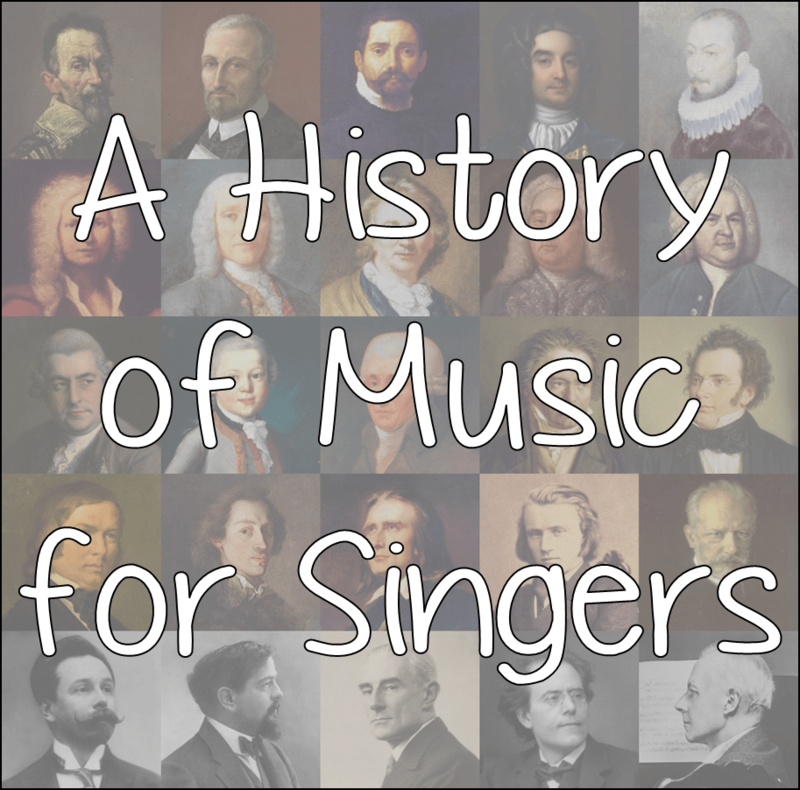 Their website has some great resources on the history of classical music, and suggestions of music for various themes and events like weddings or studying. There’s also a section on film scores, since this makes up a large proportion of the more modern music they play. This entry was posted in History of Music, Series, Uncategorized and tagged history of music, music facts, resources on 9th October 2013 by . This month, to time with this composer’s birthday, I’ve chosen one of the “one hit wonders” of the musical world. Sometimes it’s easy to forget that many composers who are now only known for one work struggled for years, writing many other things before lighting on their best work. Bizet was born in Paris, and lived most of his life there. He showed exceedingly early promise – learning to sing by listening at the door while his father was teaching – and entered the Conservatoire de Paris aged only 9. While there, he won numerous prizes and graduated with a scholarship to travel around Europe. Bizet’s scholarship took him first to Rome, where he composed an oratorio work – a setting of religious words. However, this was not received very well, and this, along with his atheism meant that Bizet never set religious words again. Instead, he turned to opera, and he requested to stay in Rome for an additional year to work on this further, rather than travel to Germany as part of his scholarship. Unfortunately, Bizet’s mother fell ill during this extra year (1860), and he was forced to return to Paris to care for her. In Paris, he continued composing, but once the scholarship money ran out, he was unable to survive simply as a composer. Paris, like many big cities with conservatoires, was overrun with musicians and composers. To make things even worse, the main opera houses were very traditional and did not often commission or produce new work. Bizet, like most composers, became a teacher to supplement his income. Life was not entirely miserable for Bizet – in 1869, he married his composition teacher’s daughter who had been a longstanding friend. 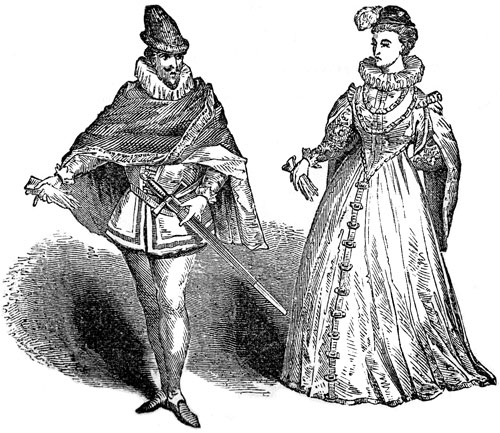 He had also, by this time, completed his two other well-known operas, Les pêcheurs de perles and La jolie fille de Perth, which were both staged in Paris. Unfortunately, neither was considered to be terribly good by the critics. Things did not improve for Bizet. In 1870, war struck France as Napoleon II declared war over Prussia. The Emperor was defeated and deposed by the end of the year, and Paris became subsumed into a civil war. Others fled the city, but Bizet held out for several months before even he decided it was too dangerous and moved out until peace was restored. 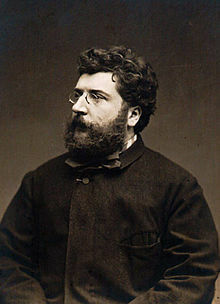 On returning to Paris, Bizet was appointed as chorus-master at the Paris Opera, and he also received another commission for the Opéra-Comique. Unfortunately, however, the director of the Opéra-Comique found the subject matter of the opera to be too controversial. Bizet had to wait for the director to resign before he was able to proceed with what would later be considered his most important work. Carmen premiered to an audience filled with Bizet’s composer friends and peers, as well as critics and ordinary theatre-goers. The reaction was as mixed as the audience. Massenet and Saint-Sans congratulated Bizet on his success, while his friend, Charles Gounod, seemed to accused him of plagiarism! The critics were equally as divided with many of them expressing concern that the heroine of the piece was an amoral gypsy woman. Bizet, sadly, would never know how famous and respected his work would become. A matter of months after the opening of Carmen, he suffered two suspected heart attacks within days of one another. The second was fatal, and he died on 3rd June 1875. The performance of Carmen was suspended on the day of his funeral, and the eulogy was given by his long-standing friend and competitor Gounod. 1870-71 – The Franco-Prussian War leads to the unification of Germany and Italy. This entry was posted in Composer of the Month, Regular Columns and tagged composer of the month, history of music, music facts, romantic era on 3rd October 2013 by . For most people, when they think of “modern” music, the first things that spring to mind are either contemporary popular music (which is a story for another series), atonalism, or 4’33. For singers, however, none of these ideas really reflect the vocal music produced in the 20th century. It feels like stating the obvious to say that the 20th century was a century of massive social change. If you’ve ever watched Downton Abbey, you’ll know life in 1912 was very different from live in 2000. Two world wars, one cold war, and a digital revolution. It’s not surprising music changed drastically. The story of 20th century music begins where we left the Romantic era – Wagner and Gilbert & Sullivan. Wagner was the high point of what we now call “Classical” music. Rich in harmony, full of complex musical features but still tonal. This high art continued to be the favoured style for many musicians into the early 20th century. However, there was a new force on the horizon – modernism. Inspired by, and reacting to the growth of industrial cities, artists who began to abandon the “rules” of their genres, rejecting the idea that their work should reflect the real. Fine art began to experiment with abstraction (Picasso), and playwrights developed new surrealist theatre (Brecht). Composers began to pull away from the traditional rules of harmony, and tried to invent new ways to create music. One of the most commonly cited examples of this is serialism, where all twelve notes of the keyboard are placed in a random order and are used in that order. For an excellent explanation of how serialism works, click on the first video below (warning: it’s 30 minutes long). If you don’t have time, click on the second video and have a listen to an example of serialist music. Vocal music was not, however, frequently produced by those working at the cutting edge of modernist music. I suspect this is because very atonal music is not very easy to sing. However, the influence of this disregard for traditional harmony can be felt in many early twentieth century songs which go further than Romantic songs in using chromatic harmonies and playing fast and loose with key signatures. This is an example of an art song by Debussy, who was heavily influenced by modernist ideas. By the mid-20th Century, composers such as Benjamin Britten, Gian Carlo Menotti and Michael Tippet were using this densely harmonised music to convey the complex and fractured nature of post-war society. Listen to this aria, The Soul of Man, from Michael Tippet’s Child of Our Time oratorio, composed during World War II. Popular music also began to develop as it became possible to record music, and share it. Music like jazz and ragtime from the black communities of America began to influence popular song writers from other cultural backgrounds, and by the mid-1950s, popular music was no longer just songs learned by ear in the pub – it was an industry and a genre all of its own. Listen to this early rock & roll song by Bill Haley & his Comets, and see if you hear the parallels with blues and jazz. 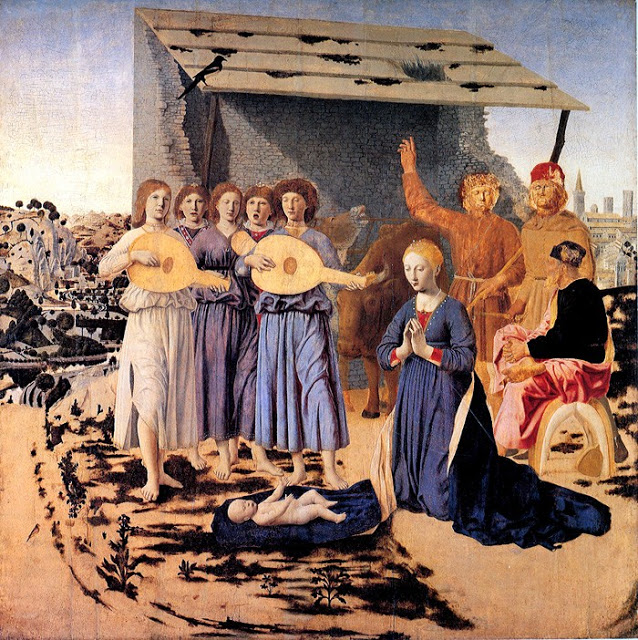 From small beginnings around the firesides and alters of the 14th and 15th centuries, music in the 21st century is a thriving business, thriving on variety as well as popularity. All the way through, the voice has remained at the centre of this development, and now drives the most profitable part of the music industry – popular music. This entry was posted in History of Music, Series and tagged 20th century, history of music, modern era, music facts on 2nd October 2013 by . The Romantic Period in musical history is so termed because it’s an era of music that’s endlessly high on emotion whether in art, music, or literature. Largely, this “Romanticism” is considered to be a reaction to the developing Industrial Revolution which saw machines take over from people and cities grow sprawling and black with coal. Artists wanted to stand against this de-humanising and un-natural direction and instead bring out human emotions and natural themes. Compare the top picture of the Victorian City with the painting by Turner from 1839 below. For composers, this was the start of two centuries of experimentation. Music became more focussed on emotional communication rather than technical elegance, giving scope for complex chromatic harmonies and vast, dramatic orchestrations. Listen to Tchaikovsky’s Symphony No 6 (Pathétique) and compare it to some of the music by Mozart in the previous post on Classical Music – it’s a totally different listening experience.The Romantic Period in music covers most of the 19th Century, the era of Queen Victoria for us Brits, and relative political stability in many countries, although there were still plenty of Civil Wars, and International Conflicts. However, the biggest changes were social, with everything from the introduction of workhouses, to the invention of blue jeans. This is also the age of the novel, with literature becoming more popular as printing has become mechanised for the masses. Music is also printed more frequently now, and music books develop into the forms we have them today. The Romantic period is generally thought of as ending in the 1910s, as the Great War was looming and political unrest began to plague Europe again. For singers, the biggest change that happens is that composers begin to use the voice as an instrument. Art songs, a trend which began in the Classical era, develop into a huge genre with its own internal divisions (English songs are quite distinct from German Lieder and French Mélodie). The lyrics are mostly poetic settings, written by Romantic poets, but the words are subsumed into a soundworld that tells the story whether or not you can understand the words. Have a listen to this beautiful setting by Fauré. The poem is by an anonymous Italian, but was translated into French by Romain Bussine. The other main feature of the Romantic period for singers is the rise, rise and rise of Opera, reaching its zenith with Wagner at the end of the 19th Century. Wagner is responsible for the image of the opera singer as fat, Viking-horned, singing full pelt with plenty of vibrato! However, there were plenty of other kinds of opera on offer which are slightly less intense. Here’s an aria from Verdi’s opera, Il Trovatore that shows the dramatic potential of high romantic opera. Popular music was also developing new trends. As published music became more accessible and pianos more affordable, the broadside ballads of previous eras developed into parlour songs for the rich and music hall for the not-so-rich. Mass employment in factories led to more people living in cities, and more people with set working hours that gave them distinct leisure time – and people with leisure time wanted entertainment. Music Halls provided a good sing-a-long of bawdy songs and comic sketches for the work-weary masses. Here’s an early recording (1907) of music hall star Vesta Victoria singing a well known song Wating at the Church. 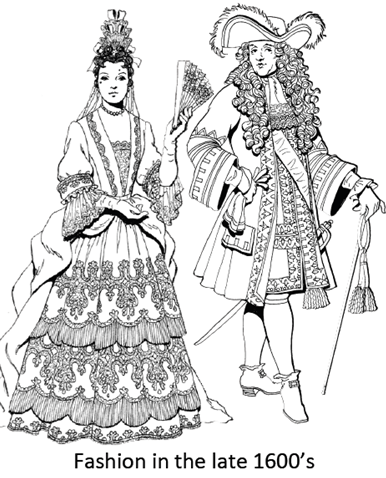 Music Hall and Parlour Songs also gave rise to a new type of musical show – the operetta. Operettas had more of the feel of the music hall, while still keeping the kinds of stories and orchestrations of opera, and borrowing spoken dialogue from theatrical plays. The masters of this genre were Gilbert and Sullivan, and here’s an aria you might recognise. The final trend related to song that was a huge part of the Romantic period was nationalism. Nationalism was a huge issue in the 19th Century as modern nation states began to take shape under their own governments. 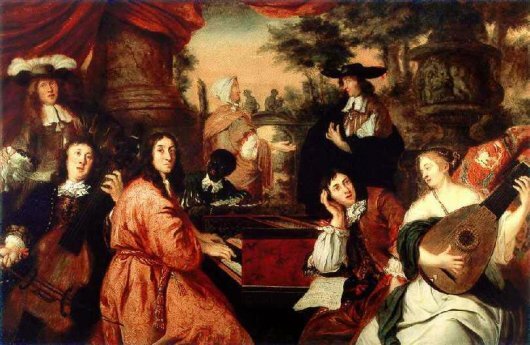 This often led to an interest in the cultural heritage of the people who made up the modern nation, and (in the wake of the Grand Tour of the classical era) interested individuals began to “collect” traditional music. In countries across Europe and beyond, composers collected volumes of songs sung by ordinary people, writing them down and sometimes arranging them as art songs, or collating different versions into a “best” version. One of the most famous collectors of them all was a Scot by the name of Robert Burns. Burns collected hundreds of Scottish folk songs and arranged many of them into the tunes that are now so famous. The clip below is the result of Burns listening to a dozen different versions of Ae Fond Kiss, collating them together to select the most effective combination of words and music from different versions, and then publishing his work. Burns is possibly one of the most famous editors in all of history! This entry was posted in History of Music and tagged history of music, music facts, romantic era on 25th September 2013 by . When learning to read musical notation, the representation of pitch is pretty logical. When the blobs go up, the pitch gets higher, when the blobs go down the pitch gets lower. So far, so good. However, what’s less clear is rhythm. Most musical theory works start with the crotchet, or quarter note, and then work outwards. In reality, starting with a crotchet is a little bit like learning the alphabet by starting with the letter M, or learning to count starting at 5! So let’s go back to where our modern notation came from. Unsurprisingly, like the notation in this picture, it started out being blobs and lines going up and down. This was all very well for someone who already basically knew the songs, like a monk who sung the same psalms over and over again. Not so great, though, if you’re trying to learn a new song from what’s been written down without having heard it. As a result, a system of representing rhythm developed. At first, this was by joining groups of blobs together with bars. The direction and number of blobs joined told singers which rhythm the notes were supposed to be sung to. The blobs became the basic count and were called “breves” because they were short (or brief) compared to the “longa” or long note. The breve was a black blob, and the longa was a black rectangle with a little tail. It’s not exactly clear why they used those, but so it was. As music got more complicated, singers needed new divisions of notes. To show a semibreve, the breve was drawn as a diamond. Then to make it shorter and create a minima (tiny note), an upwards line was added. Then a little tail on the top. Somewhere around the 15th century, scribes added in an extra level by beginning to draw the longer notes as open shapes, and filling in shorter ones with black centres. This allowed another level of notes, open with a stick, and closed with a stick, before the adding a tail. The shape of the heads slowly became less important, thanks to the use of tails and the open/closed distinction. As music writing ceased to be the exclusive realm of trained monastic scribes, they became round, like the notes we know today. So, if you’re trying learn your way around note values, remember the breve (which we rarely use today is the basic block. Chop a breve in half, and you get a semibreve. Chop a semibreve in half and you get a minim (remember – minimal, tiny note!). Chop that in half and you get a “fusa” which is now known as a crotchet. Half of that is a semifusa, now called a quaver. Finally, it’s worth remembering all this if only to totally confuse anyone who uses American terms. After all, it’s really the breve that’s the “whole note” and semibreves are “half notes”, half notes or minims are really “quarter notes” and so on…! Want to know more about how to read music? 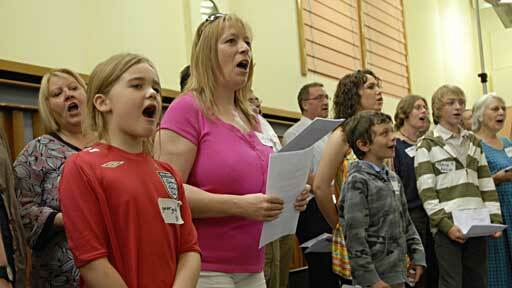 Discover Singing offers theory lessons in Leith, Edinburgh. This entry was posted in Music theory, Teaching and tagged history of music, music facts, notation, reading music, theory on 27th July 2013 by . Once or twice, I’ve had students insist to me that a Cb is the same as a B. Each time, I have to remind them that, actually they’re not the same note at all and as singers it’s very important to remember that. Now, many of you may go “huh? I thought a Cb and a B were the same note? They’re the same key on a piano!”. They are indeed the same key, but they’re not actually the same note. As a t-shirt I bought in Thailand says “Same Same, But Different”. About 300 years ago, Western music adopted Equal Temperament. In essence, this is where all instruments (pianos in particular) are tuned so that all intervals are exactly the same*, even though in the natural world, they’re not. So your beloved piano is, by the wonders of modernity and our desperate need to enforce order in a chaotic world, tuned slightly flat at one end and sharp at the other. So, in the world of equal temperament, yes, a Cb looks and sounds and sings like a B. But it’s not a B. Outside our crazy, regimented Western music, a Cb is fractionally higher than a B. Which brings us back to bagpipes. Bagpipes are not tuned to equal temperament! They’re tuned to Just Intonation (or, as I like to think of it, left in their wild slightly-unharmonious natural state). This is why their intervals sound slightly strange to us, as though they’re not quite in tune. In reality, the bagpipes are actually -in- tune, and the rest of our music isn’t. Kinda. Acappella singing also tends to drift towards just intonation. I suspect this is why it’s blindingly obvious when TV shows and films like Glee and Pitch Perfect use voice samples plugged through a keyboard to fill out the acappella singing. It just doesn’t sound right, and I wonder if it’s because actually, true acappella singing is justly intonated, not equally tempered. So there you have it, a short explanation of why bagpipes sound weird, and also why the voice is the most flexible instrument out there – it can be equally tempered and justly intonated without any trouble. If you want more, the Wikipedia pages are pretty good, and I believe Ross Duffin’s How Equal Temperament Ruined Harmony and Why You Should Care comes pretty well recommended. *The intervals are not all the same length because the frequency ratios differ slightly for each pair of notes. Equal Temperament is an average ratio, based on the ratios of the note A, which has nice neat frequencies of 110hz, 220hz, 330hz, 440hz etc. For a more detailed explanation, see the Wikipedia page, or speak to a music teacher! This entry was posted in Teaching and tagged music facts, theory on 1st June 2013 by .